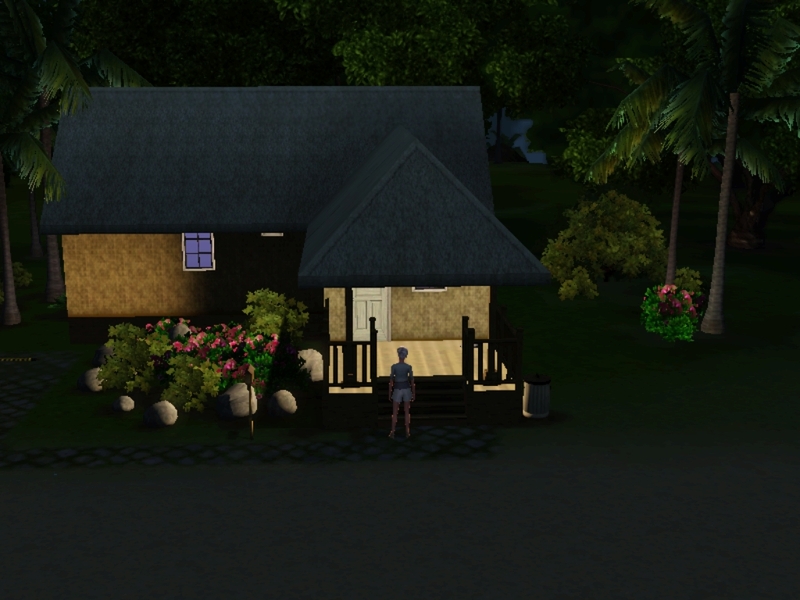 Before I leave, I searched on the internet some houses to buy in Sunlit Tides. 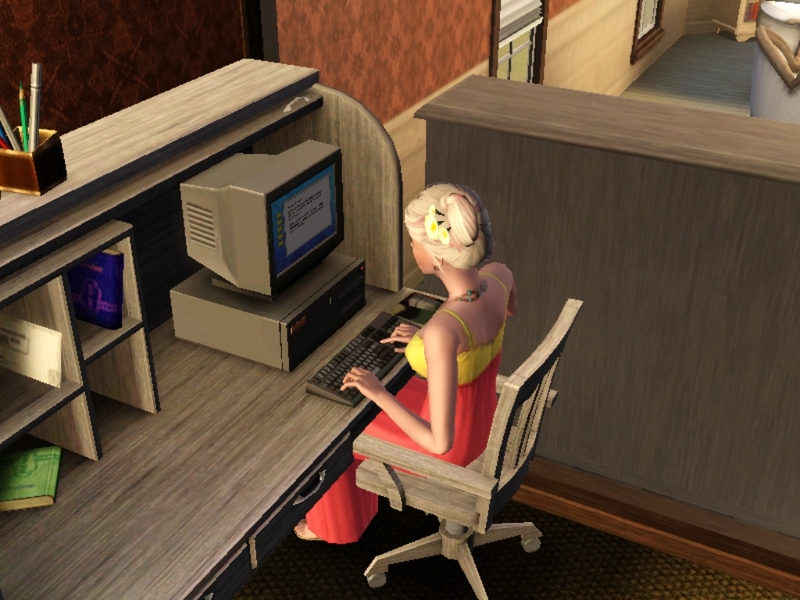 There was one really nice, with the necessary things that I need for my day-to-day for 15,800 simoleons. I only had 16,500 so I could buy the house and save some money for me. And that was my day of luck ! The owner was an old friend of mine Rosalind. She lived in Bridgeport with her grandparents after her parents accident but then she moved a few days before me. This is her house now. I have heard that she is doing great here and have a boyfriend. I rang the bell. Her boyfriend came to the door and invited me in and there she was. Seated on a chair reading a book. She is just like me! Loves reading books and enjoys art. – Lori you are here! I thought your flight was only next week. – She was right. My fly was only next week but I couldn’t wait to get here. I was.. My thoughts were interrupted. – But hey ! There’s no problem I got your key right here. I cleaned the house yesterday so I think it’s presentable. – Ooooh don’t worry about that Ros. I can clean it. Ros, is there some library here with computers? – Yes, here. I give you the adress. – Are you still with Carlos? Sorry for asking but… I noticed that he didn’t came with you. – Yeah… We aren’t together no more. Well have to go! I want to go to the library before going home. The library was enormous! Had 2 floors. On the 1st had lots of books and tables. And then it had in the two courners, a playground for babies and childrens to play. It will be handy some day. Has I love books and writing I thought I could make money be writing my own novels. I started to write a fiction book it’s called Grunenwalt: Origins of a nightmare. I was a little rusty. I stoped writing some time ago.. Things weren’t going great in Bridgeport after my mother’s death. I got involved with the wrong guy. After a while it was already dark. My tummy was making noises so I had to eat. At this time, I can’t go so long without eating. This is my new house. It has one bedroom, a bathroom and a kitchen with a living room. And when I say living room I’m talking about the most cheapest TV, a couch and a armchair. And that’s enough for me… for now. In a few days I will have to get a plan B. It is really late. So I’m going to make some pasta with cheese so I can go to bed rest. Lately, I have been tired all the time so a good night of sleep in a new house it is going to be rejuvenator. I almost burn my food. But I guess, this house bring me some kinda of luck . My room had only a single bed and a commode. The windows had some nice curtains with flowers all over. I think it’s cute because after all, we are on a island and there’s flowers everywhere. But it is time for me to sleep now, not looking at the curtains. This is some random picture that I took. This place is really amazing and I love the views. On the next morning I went to the city council register my self as an authoress. Now, all I have to do is keeping writing some books to make money to survive and soon make some changes in the house. I stop in the library to continue my book. Rosalind called me a few minutes ago telling me that she had broken up with her boyfriend. Dind’t told me why, and I thought that would be painful if I asked why. So I planed with her to go to a bar after she left work. 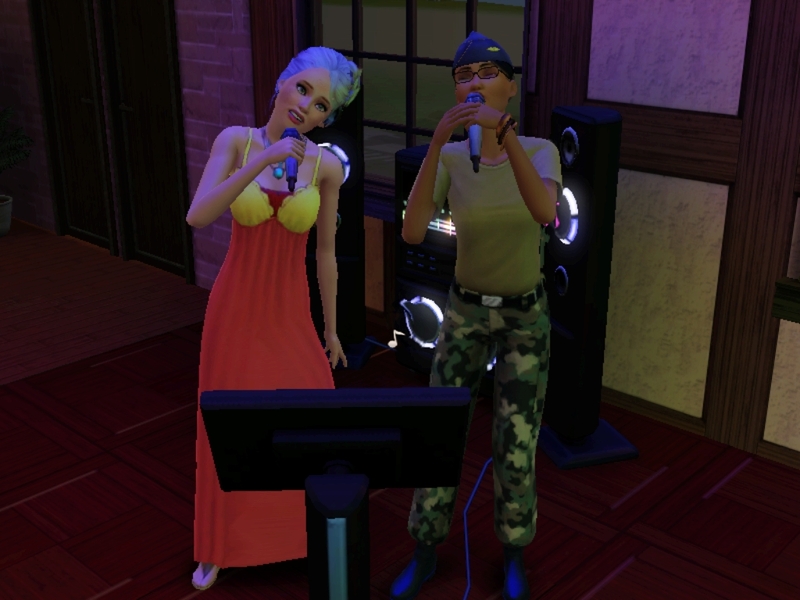 She got out and we meet on the karaoke bar. There was almost anyone there. Only the mixologist and the owner. So we sing some songs and let me tell you … We aren’t that good. Hahah! The owner was kinda cute and he was reading a book , so I guess that’s a good thing. Me and Ros, sat down to eat some nachos. I wanted to find the right guy for me .. I need some one to help me after. But I want someone responsible, with dreams and the ideal man to marry one day and that stand by my side no matter what happens… Dont’ want a man like my dad was to my mum despite her mistakes. Rosalind also think that I need a boyfriend after I told her that I wasn’t no longer with Carlos. But me and him… well was a long story that started too good and then went awfully. So I approach him. – Hello, is there anything that you need? – how could I tell him that I needed a husband? A boyfriend, whatever. – No, no.. I mean… Damn it. I’m sorry I don’t know that’s going on with me . – There’s no problem. Well if you excuse me I have more things to do. More things? Reading a book while is no one on the bar is “more things to do”? Well , fine then! Don’t want a guy like this. 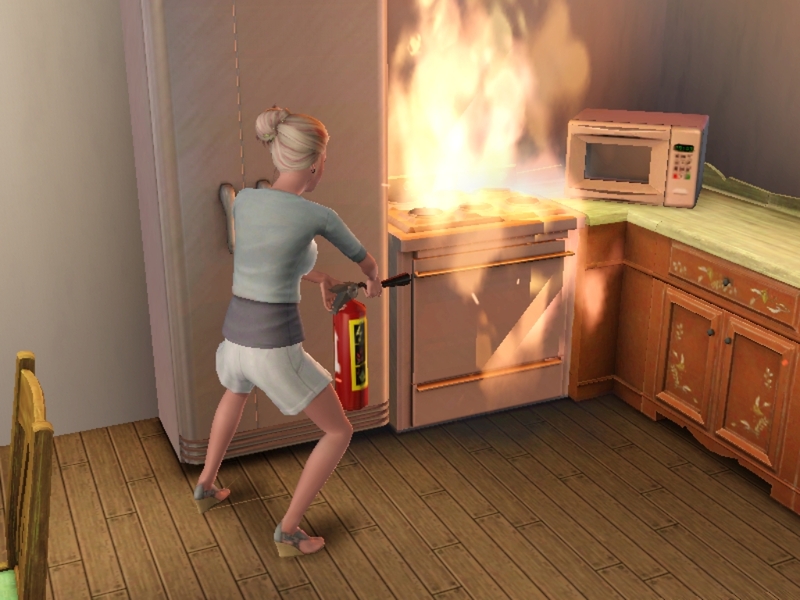 This morning I left my waffles get burned and my stove was on fire! I don’t have a fire alarm is to expensive so I grab the extinguisher and took care of the fire all by my self. I have heard rumors that there was a park on the top of a hill that had a wishing well . It wasn’t too hard to find it. He was glamorous, the water was shining and there was lots of coins on it. 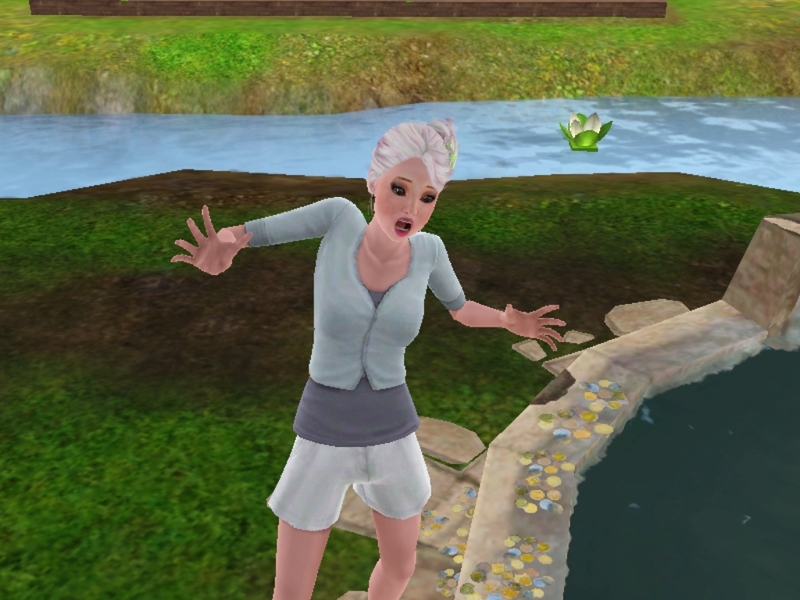 I took one simoleon out of my pocket and threw it to the water praying that I could find my love. Like a prince charming. A boy that could love me and stay with me despite my… my mistakes. I want him to give me an opportunity, like the one my father dind’t gave to my mother. And then, suddendly, a frog jumped to the ground and stood there looking at me. I wasn’t sure about him. But there was a story that my mother used to tell me when I was just a baby about a girl that kissed a frog and he became a living human being, a prince..
– Ok, here goes nothing… – I filled my body and mind of courage and hope, I picked the frog from the floor and … gave him a kiss. In an instant, everything changed. The air was filled with rose petals followed by an immense brightness and the frog, who I had just kissed, turned into a man. A beautiful man. 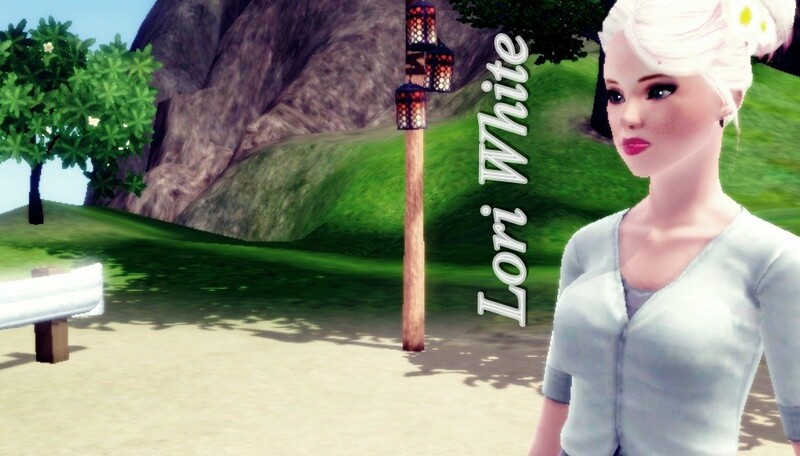 – Lori, here I am my princess! – How.. how do you know my name? – I was still not believing in what I was seeing. – You have desired me. You wish me. I think I’m in love with you Lori.. Please, don’t freak out. This is real, I’m real. Let me show you. He approached me and slowly leaned over me. I knew that he was going to try kiss me and deep in side.. That was what I wanted. So I let him kiss me and felt like butterflies on my tummy. I was feeling some nauseas too but that started to be normal. It happen almost everyday. The only thing that I dind’t wanted was to throw up on him. 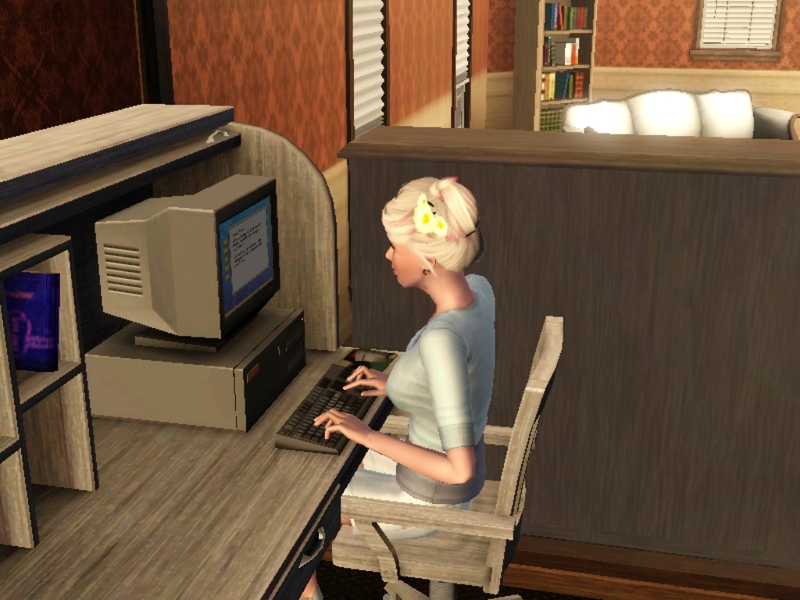 This entry was tagged sims3, simslegacies, simstories, thesims, thesims3. Bookmark the permalink. 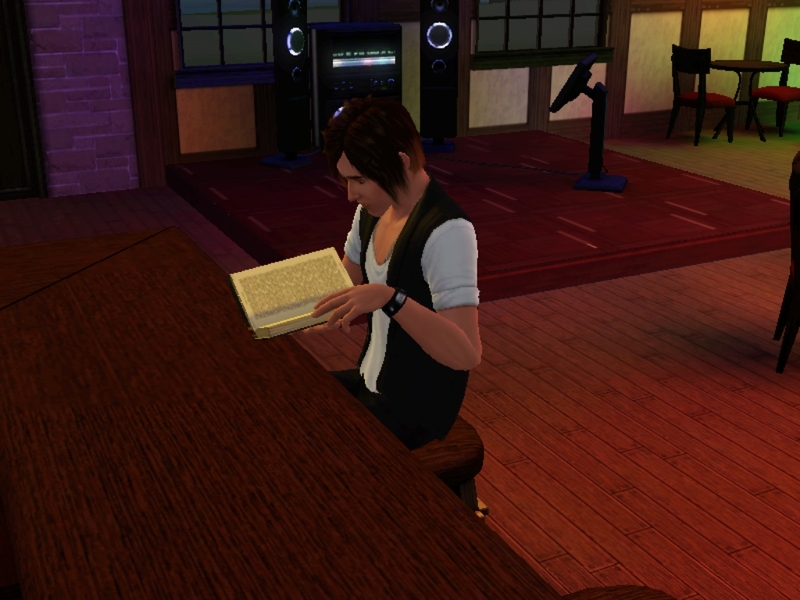 « Sunlit Tides, here I am! Uh oh what did he need to know?